Konami Gaming, Inc, one of the most recognised names in the video and iGaming industries, has recently announced several new senior management positions that have become available in recent weeks. The company explained that the new positions are due to the growth and expansion of the company in the Igaming market. Shanna Grimes has been promoted to vice president of human resources, while Gary Snobel has taken on the position of vice president for corporate planning and IT. Next is William Wadleigh, who is to be upped to senior director of game development. President and CEO of Konami Gaming Inc., Steve Sutherland, told reporters that the newly appointed senior members are a refection of Konami’s growing presence in the industry, and its continued momentum in the business. 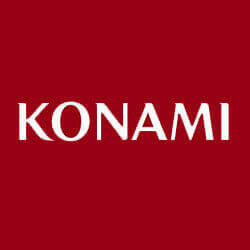 He added that Konami’s their senior management is committed to providing excellent service, innovation, and accountability, traits which are shared by all members of the new management roles. Grimes has been the head of the company’s HR department for over two years, while Snobal has been part of the global corporate planning team for over a decade. News of the promotions comes after Konami attended the Peru Gaming Show, where they showed off some of their latest projects. Konami’s Vice President of International Gaming Operations, Eduardo Aching, told reporters that their time at this year’s Peru Gaming Show was important to the company, as well as for their exclusive distributor in the South American region, Pacific Games.